Sometimes I feel overworked and stressed out. Working in the ICU means doing everything for your patients. Since I work in a public hospital, I handle 3 patients in a shift, ideally nurse-patient ratio for ICU should be 1:1. Anyway, there are days when you have to hold your bladder to attend to your patients’ needs first. Or worst case is you can only eat after your shift because the area is so toxic with critical cases. Tired and hungry, I always end up going home to rest. But then again I have to get groceries for house supply. Adulting is real guys. I remember there’s this one time when I just really wanted to go home and rest. After 2 quick hours, I woke up to the thundering sounds of my stomach. Hahaha I opened the fridge only to find out that it was empty. Annoyed by myself, still I didn’t want to order fast food or go to the supermarket. Then it dawned on me that there is this new mobile application that delivers your groceries at your doorstep - the honestbee! 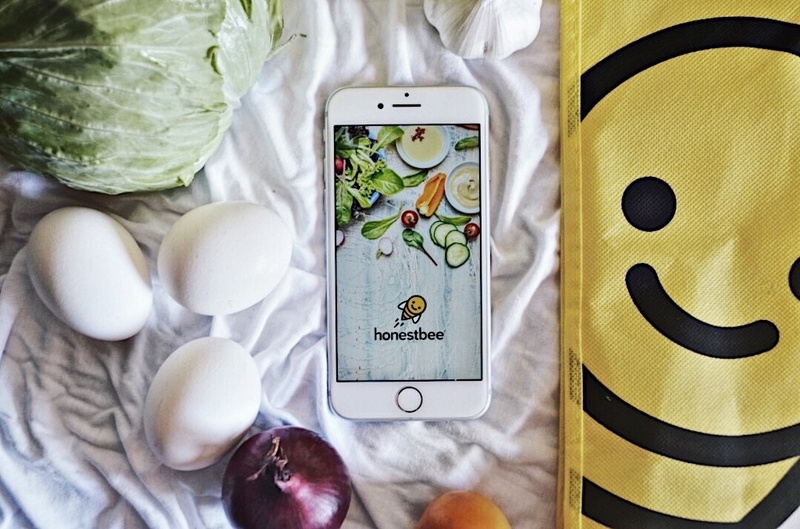 honestbee is a mobile application that acts like a concierge when you check-in in a hotel. All you have to do is to choose which service you want to avail. It offers grocery and food delivery. So for a busy bee like me, honestbee is music to my ears. Going back to waking up without food in the fridge, I ordered from one of the partner restaurants of honestbee Cebu. It was easy, fast and convenient. The food was still warm that it uplifted my mood - from being annoyed to completely being gastronomically satisfied. Since food delivery was a breeze I also tried to have my groceries delivered. I chose Robinsons Supermarket - one of honestbee’s partners. I pre ordered a lot of milk, eggs, meat, juices, etc and of course I didn’t forget shampoo for my little girl, Pipay - she’s a shitzu. Hahaha I placed the order to have it delivered in the morning. And I was amazed that everything was in the bag and delivery was on time. Because honestbee saves me a lot of time, I am now able to rest after a tiring shifting schedule and I am now able to fulfil my adulting responsibilities at the same time as well. Being a blogger and a nurse require a mastery in time management. Now, with a little help from honestbee, I can use the time I have saved to spend it with family at home or gather friends while waiting for food delivery - rather than getting annoyed by long lines at the supermarket and feeling hot while beating traffic. Thank you honestbee for coming to the Queen City of the South, Cebu City. Not only are you helping individuals but you are saving families, small businesses and communities. If there's one thing I wish honestbee will have in the future, that would be expanding to clothing as well. (wink) What do you think? plus Php200 off Php499 (promo code: PITSENYORHB). Regular customers can always check the honestbee website or app for the latest promos that are available. Follow @honestbeeph and @almostablogger on Facebook and Instagram. If you want to become a partner merchant of honestbee, you can email through cebu@honestbee.com.